Sullivan has performed worldwide with this incredibly unique blend of Persian music, jazz, blues, and rock n’ roll. 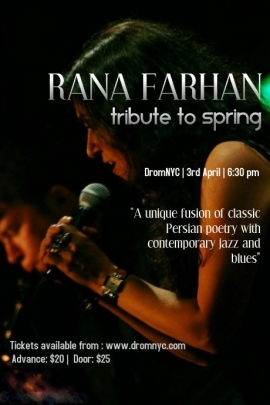 Vocalist Rana Farhan returns to DROM – an excellent lounge and performance space in the East Village. Also featuring songwriter and guitarist Steven Toub.